NEW YORK, NY--(Marketwire - January 31, 2011) - Kash Sree, who won an Emmy Award and a Grand Prix at Cannes for two different Nike campaigns in the same year, has joined SS+K, a creative agency specializing in social media and engagement. Sree joins SS+K as the shop's Chief Creative Officer and its seventh Partner effective February 1. Over the past two years, SS+K has rapidly expanded its relationships with blue-chip marketers, joining the marketing communications rosters of venerable consumer-brand companies such as GM, Kraft, Allstate, Subway and General Electric. The New York-based agency, partially owned by Creative Artists Agency, has an office in Washington, D.C., and has been most closely identified with its work on Barack Obama's 2008 presidential campaign and Lance Armstrong's LiveStrong™ initiative. Sree, whose work in recent years includes Lego, Corona Light and Vaseline, replaces SS+K's former CCO Marty Cooke, who spent a decade at the shop before leaving for another position in late 2010. SS+K President and Partner Brad Kay said of Sree's joining the agency, "Kash's eye-popping, brilliant ideas engage people on multiple levels. The originality and fun of Kash's inventions inspire people and inspire change. 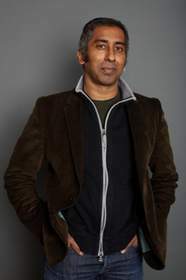 When it comes to tapping the power of all media -- on or offline -- and riding cultural currents, Kash Sree is at the top of his game." Sree was most recently Executive Creative Director at San Francisco-based Pereira O'Dell, and the creative work he led at the shop, especially for Corona Light and Lego, was a major factor in the agency's landing on Advertising Age's "Agency A-List" this month. Sree started his advertising career in 1990 at Ogilvy & Mather in London as a junior art director. His breakthrough recognition as a creative force came during the five years he spent at Wieden + Kennedy in Portland, Ore., beginning in 1997. In his final year at the agency, 2002, Sree was on the creative teams that conceived of and executed the Nike "Play" campaign, whose "Tag" spot won the Grand Prix at Cannes, and whose Nike "Move" work won an Emmy Award. He also worked on Nike's "Hackeysack" spot featuring Tiger Woods. "A lot of advertising agencies pollute the culture, but SS+K enriches the culture," Sree said. "SS+K has always been about engaging people socially at many levels and that opens up fantastic opportunities to creative people like me as well as to clients." Born in Singapore to Indian parents, he grew up in London's East End. Founded in 1993, SS+K is a creative agency specializing in social engagement across marketing and communications disciplines, including advertising, media, social media, branded entertainment, public relations, events and promotions. In 2008, SS+K shared in AdweekMedia's "Marketer of the Year" honors for its work on the Obama campaign. Its clients include Allstate, Blue Cross/Blue Shield, GE, GM, Kraft, and "Let's Move," the White House Campaign Against Obesity. The agency has offices in New York, Boston and Washington, D.C., and is part-owned by Creative Artists Agency (CAA).